Travel Chaotically! - New York - Mulberry Street! For Stage II/III melanoma patients: Interferon NO BETTER than observation!!!! A phase IB study of ipilimumab with peginterferon alfa-2b in patients with unresectable melanoma. Brohl, Khushalani, Eroglu...Weber. J Immunother Cancer. 2016 Dec 20. Ipilimumab and peginterferon alfa-2b are established systemic treatment options for melanoma that have distinct mechanisms of action. Given the need for improved therapies for advanced melanoma, we conducted an open-label, single institution, phase Ib study to assess the safety and tolerability of using these two agents in combination.Study treatment consisted of ipilimumab given every 3 weeks, for a total of four infusions, concurrent with peginterferon alfa-2b administered subcutaneous weekly for a total of 12 weeks. This was followed by maintenance therapy with peginterferon alfa-2b administered subcutaneously weekly for up to 144 additional weeks. The study was designed as a two-stage dose escalation scheme with continuous dose-limiting toxicity monitoring during the induction phase. Thirty one patients received at least 1 dose of study treatment and 30 were assessable for efficacy endpoints. We found that ipilimumab at 3 mg/kg dosing with peginterfeon alfa-2b at 2 μg/kg/week was the maximum tolerated dose of this combination. The incidence of grade 3 drug-related adverse events (AEs) was 45.2%. There were no grade 4/5 AEs. The overall response rate was 40% by immune-related response criteria. Median progression-free survival was 5.9 months. The median overall survival was not reached with at a median follow-up of 35.8 months. We report that the combination of ipilimumab at 3 mg/kg dosing combined with peginterfeon alfa-2b at 2 μg/kg/week demonstrated an acceptable toxicity profile and a promising efficacy signal. Further study of this combination is warranted. Guess I'm just not clear on why you would want to experience a higher rate of adverse effects in order to attain results that may not be quite as good as those we can already attain with anti-PD-1 as a single agent?????? Maybe if you hadn't attained a response with Opdivo or Keytruda? But, if possible, why not try the ipi/nivo combo with it's 50-plus % response rate??? 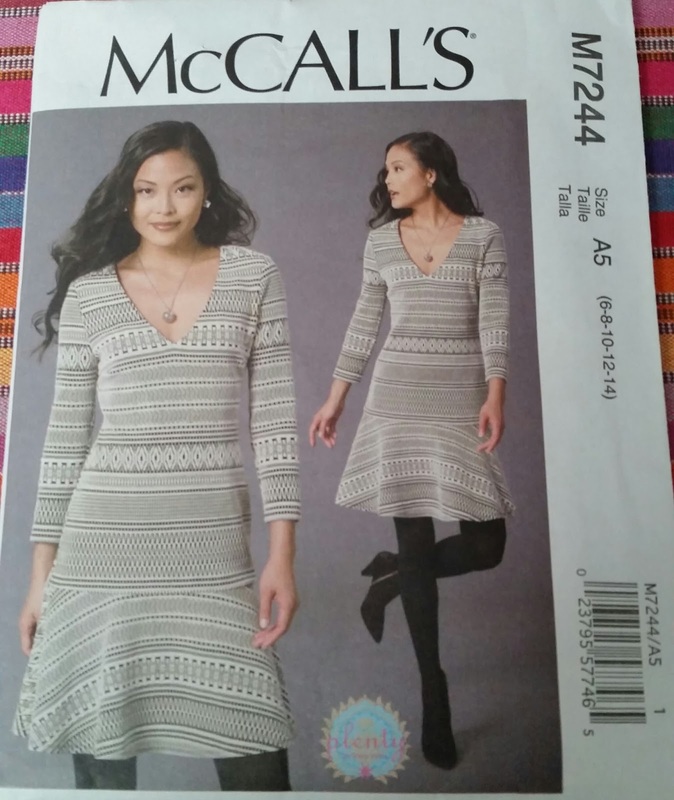 I bought this pattern at FULL price and thought it was just the cutest thing ever!!! I was so eager to play with it....I used this last bit of the flannel I purchased in NY at B and J's to make it up right away. 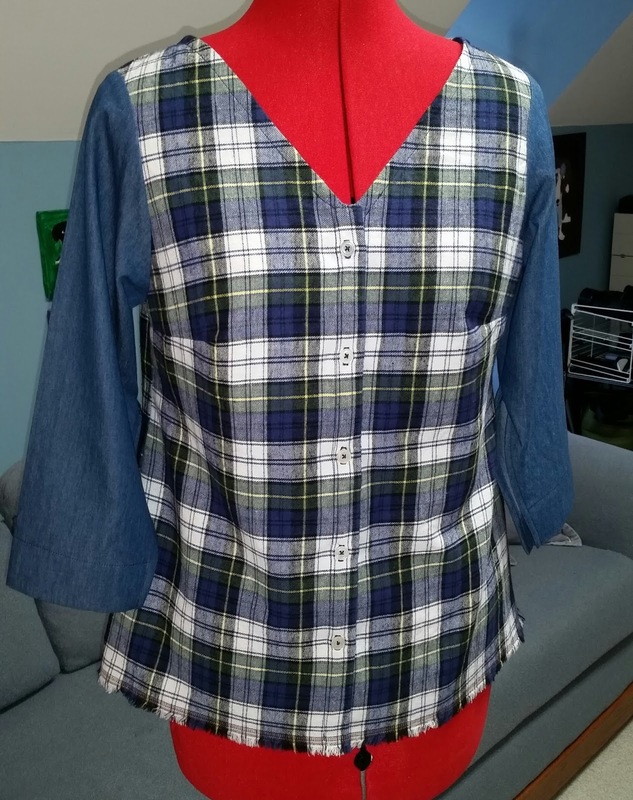 Not having quite enough for the entire top, I thought my remnants of this chambray paired nicely. 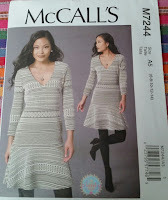 Per the pattern measurement indicated, I cut a size 6. 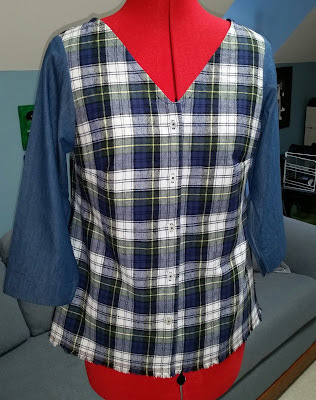 I was excited to continue plaid matching in fun ways and psyched about using the selvage from this woven cotton flannel as the hem. However, after I messed around with all that and tried it on, I discovered that perhaps I had mucked it up!!! The top was (though it doesn't look it on Mannie) WAY too small across my shoulders! So much so, that I left the sleeves open to the elbow at the seams, in hopes that my arms would still be able to function while wearing it!!! I worked to convince myself I could wear it. I let Rosie try it on, but alas, she had problems fitting her own massive shoulders into it as well!! So....I gifted it to a nurse I work with. Hopefully, she (and her tiny, little self) can use and enjoy it!! Not to be deterred - one must live and learn!!! 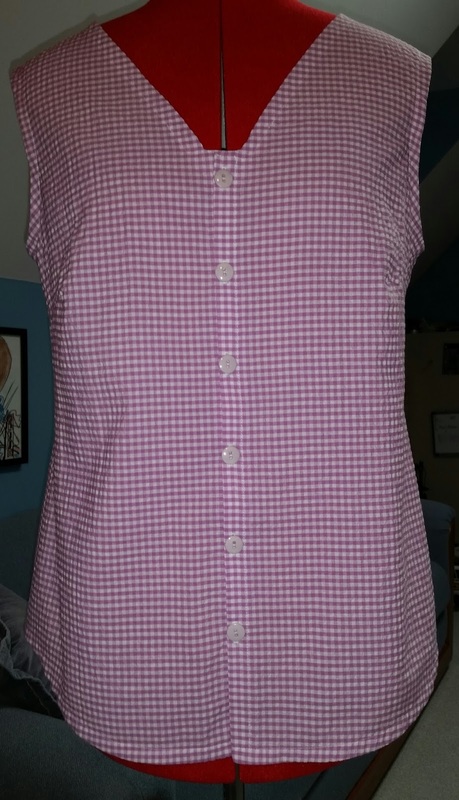 My first thought, "Did I mess up the shoulder yoke when playing about with my plaid matching?" I looked up reviews. Nobody else mentioned ANY problems with the proportions of the back yoke to the rest of the top. Bolstered, I decided to try again. 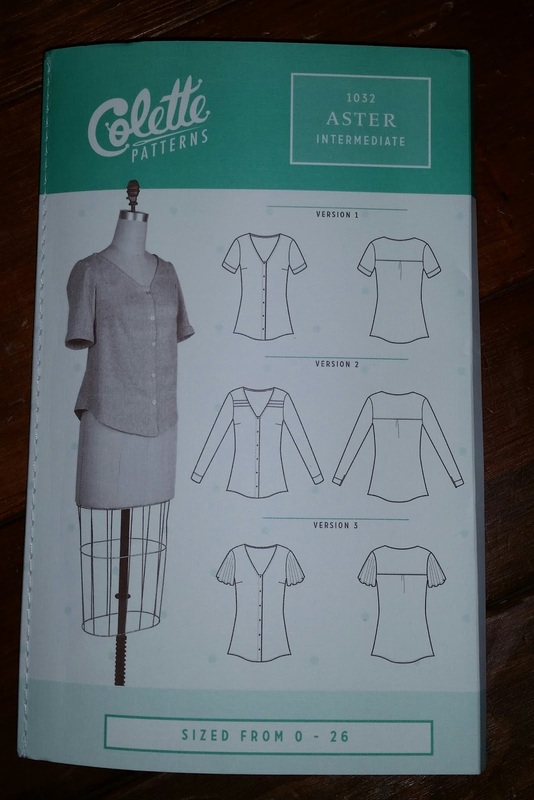 I carefully checked the back yoke pattern piece against Mannie. Low and behold...to get the width I needed for the back...I should cut the size 12. 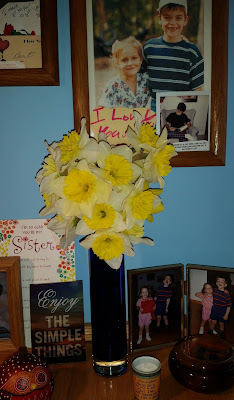 Sooooo...after much measuring and re-measuring - I cut the 12 - for all of it. But, then...pretty much as I expected, I had to take in the sides...back to the size 6. But, having done that, I don't know. The proportions remain off. Furthermore, the difficulty many had with the burrito method the pattern espouses when attaching the inner back yoke was something I experienced myself. I ended up doing it my way on this second one, it is clean and neat and worked far better, for me anyway. Ditto for the way you are to finish the cute little neckline at the facing for the buttons. I did it differently on both, neither quite as advised by the pattern. Specifically, the "circle" one is advised to clip to... really does not seem to be appropriately placed. 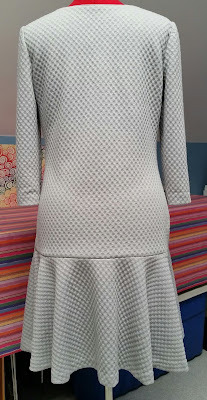 If you look closely at this review, sew2pro, you'll see that despite this sewist's very cute result, her shoulders are struggling in the space allowed as well!! Apparently, Colette is designed for chicas with narrower shoulders and bigger tah tah's than I possess. Luckily, Rosie's curves can work with this last version. 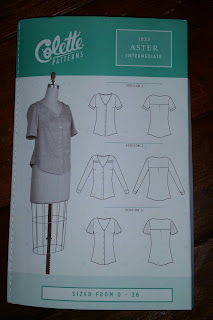 Perhaps with all the working knowledge I now posses I'll give this pattern one more go....but....I'm not sure!!! Persistently curly hair phenotype with the use of nivolumab for squamous cell lung cancer. Dasanu, Lippman, Plaxe. J Oncol Pharn Pract. 2016 Oct 18. Increasing use of programmed cell death protein 1/programmed cell death protein 1 ligand inhibition for the treatment of patients with various malignancies such as advanced lung cancer, kidney cancer, and melanoma has resulted in valuable clinical responses, along with the occurrence of new and often puzzling side effects. Known cutaneous effects of CTLA4 and programmed cell death protein 1/programmed cell death protein 1 ligand inhibitors include generalized pruritus, vitiligo, maculopapular lesions, and lichenoid skin eruptions. Alopecia has been the only hair effect previously associated with this class of agents. We describe herein the first case of a persistent curly hair phenotype with the use of nivolumab in a patient with metastatic squamous cell lung cancer. Vasculitic Neuropathy induced by Pembrolizumab. Aya, Ruiz-Esquide, Viladot, et al. Ann Oncol. 2016 Nov 17. Atrophic Exocrine Pancreatic Insufficiency Associated with Anti-PD1 Therapy. Long, Hoadley, Sandanayake. Ann Oncol. 2016 Nov 17. PD-1 Antibody-induced Guillain-Barré Syndrome in a Patient with Metastatic Melanoma. Schneiderbauer, Schneiderbauer, Wick, et al. Acta Derm Venereol. 2016 Oct 14. Autoimmune Cardiotoxicity of Cancer Immunotherapy. Cheng, Loscalzo. Trends Immunol. 2016 Dec 2. Contemporary immunotherapies (e.g., immune checkpoint inhibitors), which enhance the immune response to cancer cells, improve clinical outcomes in several malignancies. A recent study reported the cases of two patients with metastatic melanoma who developed fatal myocarditis during ipilimumab and nivolumab combination immunotherapy; these examples highlight the risk of unbridled activation of the immune system. Autoimmune Hemolytic Anemia as a Complication of Nivolumab Therapy. Palla, Kennedy, Mosharraf, Doll. Case Rep Oncol. 2016 Nov 7. Recently, immunotherapeutic drugs, including PD-1 inhibitors (nivolumab, pembrolizumab), PD-L1 inhibitors (atezolizumab, avelumab), and CTLA4 inhibitors (ipiliumumab), have emerged as important additions to the armamentarium against certain malignancies and have been incorporated into therapeutic protocols for first-, second-, or third-line agents for these metastatic cancers. Immune checkpoint inhibitor nivolumab is currently FDA approved for the treatment of patients with metastatic malignant melanoma, metastatic non-small cell lung cancer, metastatic renal cell cancer, and relapsed or refractory classic Hodgkin's lymphoma. Given the current and increasing indications for these drugs, it is essential for all physicians to become well versed with their common adverse effects and to be observant for other less documented clinical conditions that could be unmasked with the use of such medications. A definite association between autoimmune hemolytic anemia and the immune checkpoint inhibitor nivolumab has not been clearly documented, although a few cases have been reported recently. We report a case of fatal autoimmune hemolytic anemia refractory to steroids in a patient treated with nivolumab for metastatic lung cancer, and reflect on the other reported cases of autoimmune hemolytic anemia after the use of nivolumab. Sarcoidosis in the setting of combination ipilimumab and nivolumab immunotherapy: a case report & review of the literature. Ruess, Kunk, Stowman, et al. J Immunother Cancer. 2016 Dec 20. We report a case of sarcoidosis in a patient with metastatic melanoma managed with combination ipilimumab/nivolumab. Sarcoid development has been linked with single agent immunotherapy but, to our knowledge, it has not been reported with combination ipilimumab/nivolumab treatment. This case raises unique management challenges for both the melanoma and the immunotherapy-related toxicity. A 46 year old Caucasian female with M1c-metastatic melanoma was managed with ipilimumab/nivolumab combination. Patient experienced response in baseline lesions but developed new clinical and radiographic findings. Biopsy of new lesions at two different sites both demonstrated tumefactive sarcoidosis. Staining of the biopsy tissue for PD-L1 expression demonstrated strong PD-L1 staining of the histiocytes and lymphocytes within the granulomas. Monotherapy nivolumab was continued without progression of sarcoid findings or clinical deterioration. Tissue biopsy for evaluation of new lesions on immunotherapy is an important step to help guide decision making, as non-melanoma lesions can mimic disease progression. Not trying to alarm anyone!!! With melanoma you gotta get treatment! And sadly, knowledge of side effects cannot necessarily prevent them. Still, forewarned may allow you to be forearmed in recognizing a problem so that it can be dealt with before it causes additional harm! Ipilimumab alone or in combination with nivolumab after progression on anti-PD-1 therapy in advanced melanoma. Zimmer, Apuri, Eroglu, ...Sondak, et al. Eur J Cancer. 2017 Feb 16. The anti-programmed cell death-1 (PD-1) inhibitors pembrolizumab and nivolumab alone or in combination with ipilimumab have shown improved objective response rates and progression-free survival compared to ipilimumab only in advanced melanoma patients. Anti-PD-1 therapy demonstrated nearly equal clinical efficacy in patients who had progressed after ipilimumab or were treatment-naïve. However, only limited evidence exists regarding the efficacy of ipilimumab alone or in combination with nivolumab after treatment failure to anti-PD-therapy. A multicenter retrospective study in advanced melanoma patients who were treated with nivolumab (1 or 3 mg/kg) and ipilimumab (1 mg or 3 mg/kg) or ipilimumab (3 mg/kg) alone after treatment failure to anti-PD-1 therapy was performed. Patient, tumour, pre- and post-treatment characteristics were analysed. In total, 47 patients were treated with ipilimumab (ipi-group) and 37 patients with ipilimumab and nivolumab (combination-group) after treatment failure to anti-PD-1 therapy. Overall response rates for the ipi- and the combination-group were 16% and 21%, respectively. Disease control rate was 42% for the ipi-group and 33% for the combination-group. One-year overall survival rates for the ipi- and the combination-group were 54% and 55%, respectively. Ipilimumab should be considered as a viable treatment option for patients with failure to prior anti-PD-1 therapy, including those with progressive disease as best response to prior anti-PD-1. In contrast, the combination of ipilimumab and nivolumab appears significantly less effective in this setting compared to treatment-naïve patients. Sooo....while response rates were not as great as they are for the treatment naive patients.... a 21% response rate to the ipi/nivo combo can still be attained for those who have failed anti-PD1 as a single agent. Romantic tops for Paris in June?????? 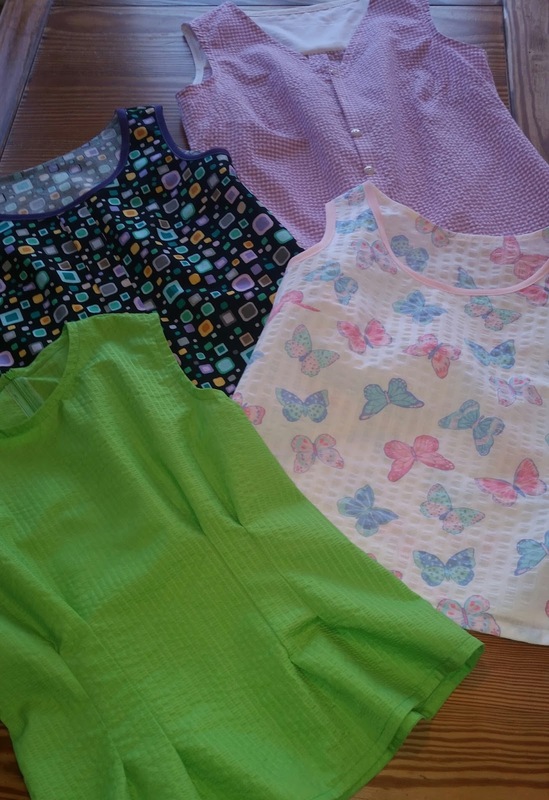 It was a lot of sewing fun for me. Down and dirty details on patterns and such will be up soon. It turned out really well and I think she has gotten many good, fun wears out of it! I've been waiting to find the right material to make mine. 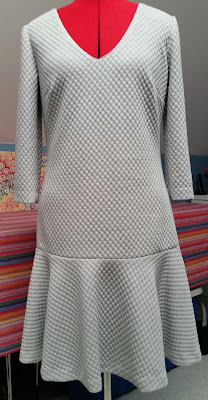 I happened upon this super soft, textured knit at JoAnn's and knew it would be perfect! 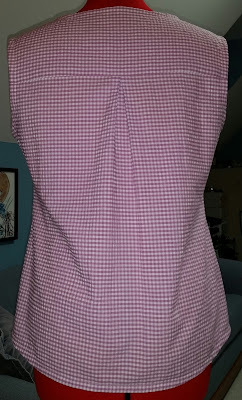 Making it per pattern instructions you cut a facing of the dress material that you add before attaching the lining. This added extra work and a seam that can show up nobbly-like on the right side! I just didn't see the point! 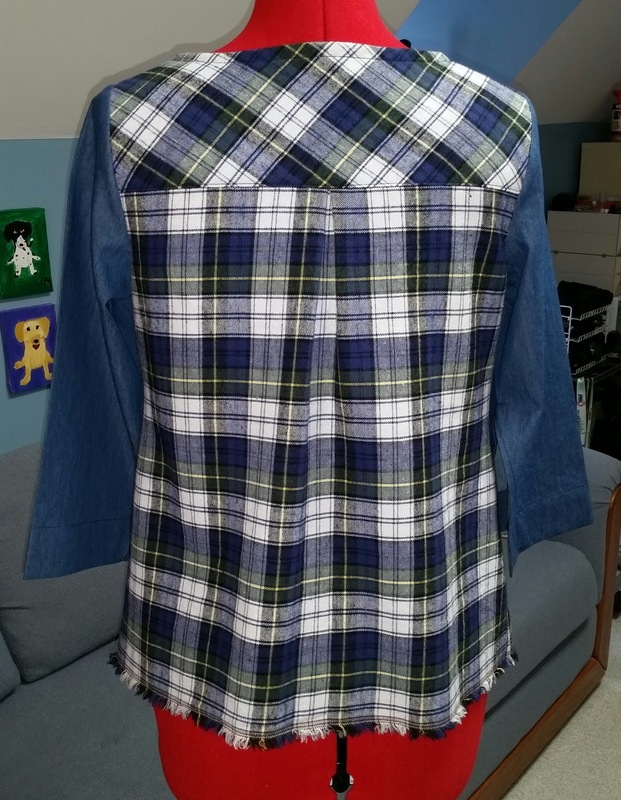 For mine, I simply cut the lining pieces as replicas of the front and back. Works for me!